Combination Mortgage Loans Could Be the Answer for You- Find Out Here! Becoming a home owner is one of the main goals in every American’s life. But to achieve this goal, you will probably need to borrow money, and that can be a pretty nerve-wracking process. 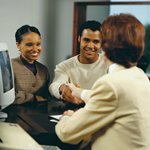 You want to make sure that you are getting the best deal on your mortgage loan, but that can be hard with all of the mortgage loan options that are available today. One of the ways in which you can save money is the combination mortgage loan. A combination mortgage loan allows you to combine two loans, preferably from the same lender in order to pay off your mortgage. Typically, the first loan will represent 80% of the property’s value, while the second one will be 20% of the home’s value. The smaller loan can be used as a down payment or to finance the construction costs of your new home, while the second will be used to pay off the first loan, and will become the permanent mortgage loan on your home. You avoid paying private mortgage insurance. With conventional loans, you will be required to pay private mortgage insurance (PMI), which can increase the overall cost of the loan significantly. The cost of the mortgage insurance can sometimes even exceed the cost of the second mortgage loan. You don’t have to make a down payment. Even though the terms are different from one lender to another, the two loans generally serve the same functions: the first mortgage loan will pay off the mortgage, and the second one will cover the down payment. You’re able to get lower interest rates. Each one of the individual mortgage loans in the combination loan will receive a different interest rate. The interest on the larger loan will be smaller, usually making your total interest rate smaller than on a conventional loan. Even though combination mortgage loans can be very beneficial, they are just one of the many types of loans that you should research before choosing. Combination loans might sound good at first, but if you don’t thoroughly research the disadvantages, as well, you could quickly end up regretting your decision. When paying your mortgage through a combination loan, you will have to keep track of two separate monthly payments, to two different lenders, in some cases. This increases the chance that you will miss a mortgage payment which will hurt your credit. Also, there is a chance that the interest rate for one of the loans will be high, which could increase the overall cost of the loan. Combination mortgage loans are generally a great choice when you are looking to avoid paying private mortgage insurance, but, as with any mortgage loan, you must exercise caution when choosing this type, and avoid making your decision based only on advantages. Your financial situation and the loan’s disadvantages should also play a big part in your decision. The only way in which you can be sure that you are making the best choice is by being fully aware of where you stand financially and doing your homework.